Lawns are more costly and time-consuming to maintain, have a greater environmental burden, and are not as wildlife-friendly as other landscaping choices. Tired of being a slave to lawn chores? Join others in a growing trend to replace lawns with landscapes that are easier and cheaper to maintain and better for the environment. When you replace turf grass with native groundcovers, trees, shrubs, perennial flower beds, and other diverse plantings, you will not only save time and money but also contribute to a healthier environment for the people and wildlife of New Jersey. Mowing, watering, fertilizing, and other lawn care tasks require both time and money. Lawns also have environmental costs. Synthetic chemicals used to fertilize and control pests are a source of pollution, and wildlife habitat is lost when turf grass replaces native vegetation. 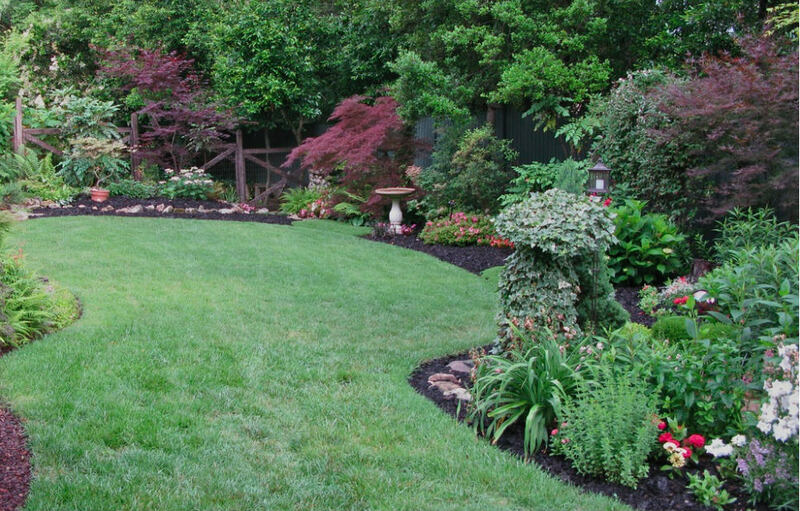 Small areas of healthy lawn do have a place in the home landscape. Turf grass tolerates regular foot traffic, making it well-suited for outdoor play and recreational spaces. 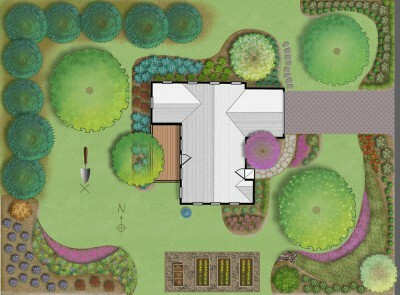 However, when you factor in the high maintenance costs, it doesn’t make sense to maintain large unused areas of lawn. Reducing lawn areas is a good first step to reducing fertilizer needs. In your Jersey-Friendly Yard, think about how you use your lawn and how you can replace unused turf grass with less costly, more environmentally friendly native vegetation. A good place to start is along property edges, sidewalks, and driveways. 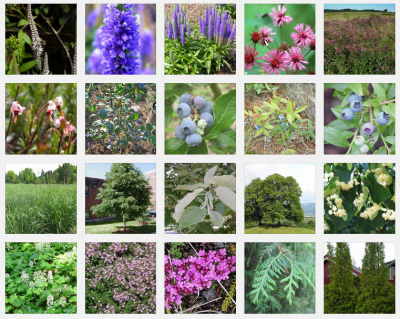 Add beauty and seasonal interest to your yard. Having no lawn is also a great option. 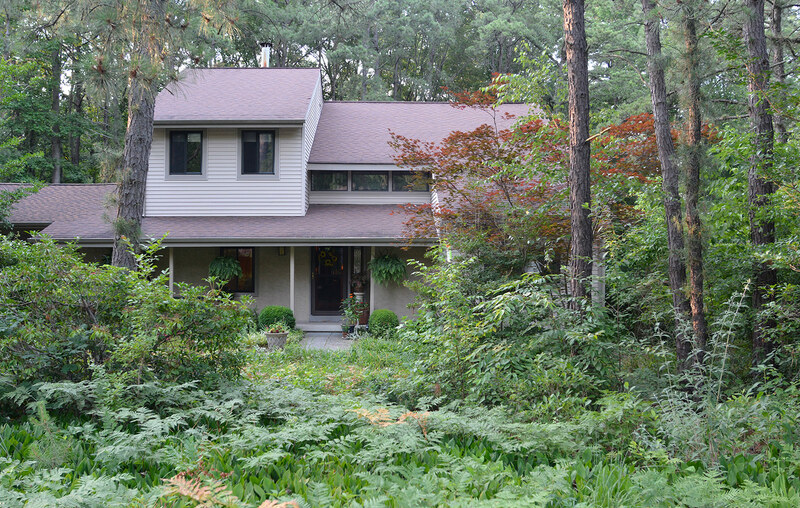 This Medford, NJ, homeowner replaced lawn with mostly native Pine Barrens plants. Use more than 2.5 trillion gallons of water to irrigate lawns. Another cost – our valuable time! The average American homeowner spends about 40 hours, or one work week, per year mowing the lawn. Get a soil test. The soil test results will tell you what type, if any, fertilizer you need and how much to apply. Learn more about importance of soil health. Use slow-release fertilizers when amendments are needed and apply them responsibly. Learn how to fertilize responsibly. Mow high. Keeping turf at the proper height shades grass roots and reduces evaporation of soil moisture. Rutgers recommends maintaining a height of 2.5 to 3 inches for most cool season grasses. Use a mulching mower. Grass clippings can provide as much as one-half of the nitrogen required for a healthy lawn. Seed with low-maintenance grass species. Tall fescues and fine fescues need less nitrogen and water than Kentucky bluegrass and perennial ryegrass species. Water only where and when needed. Learn about water use and water efficiency for landscaping. Aerate. Opening air channels in the soil improves the natural movement of water and air into the ground. The best time of the year to aerate lawns in New Jersey is in late summer/early fall, when cool season grasses are actively growing and the soil is only slightly moist.